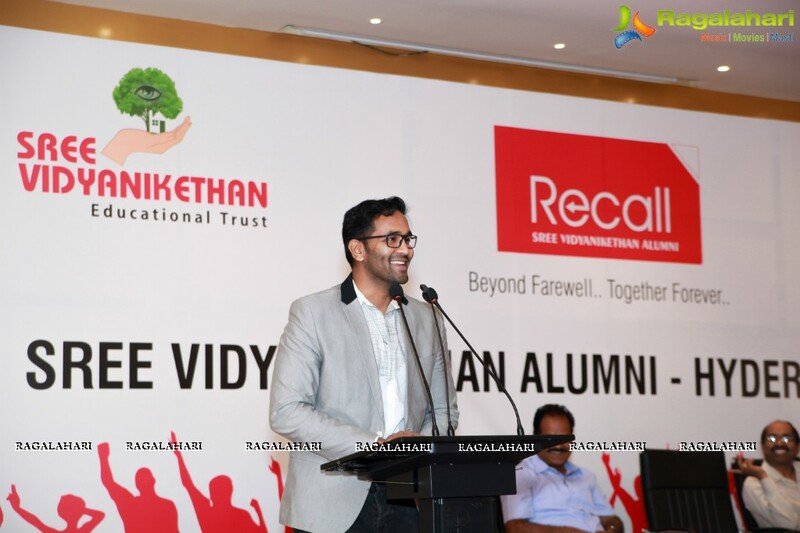 The proud students of Sree Vidyanikethan Educational Institutions love to keep in touch with their alma- mater and this has led to the inception of ‘Recall’- the Alumni association of Sree Vidyanikethan Educational Institutions. The alumni of the institutions have spread far and wide across the globe and this has necessitated chapters of Recall to be launched in various cities in India and USA. In this regard, Sree Vidyanikethan Alumni – Hyderabad Chapter was inaugurated recently in Hotel Daspalla, Hyderabad. The occasion was graced by Sri. Vishnu Manchu, CEO, SVET, Dr. D.V.S. Bhagavanulu, Director, SVEC, Dr. K. Delhi Babu, Vice-Principal, SVEC, Mr. S. Sreenivasa Chakravarthi, Alumni Relations Officer, SVET, and Prof. P.V. Ramana, HOD, ECE Department, SVEC. 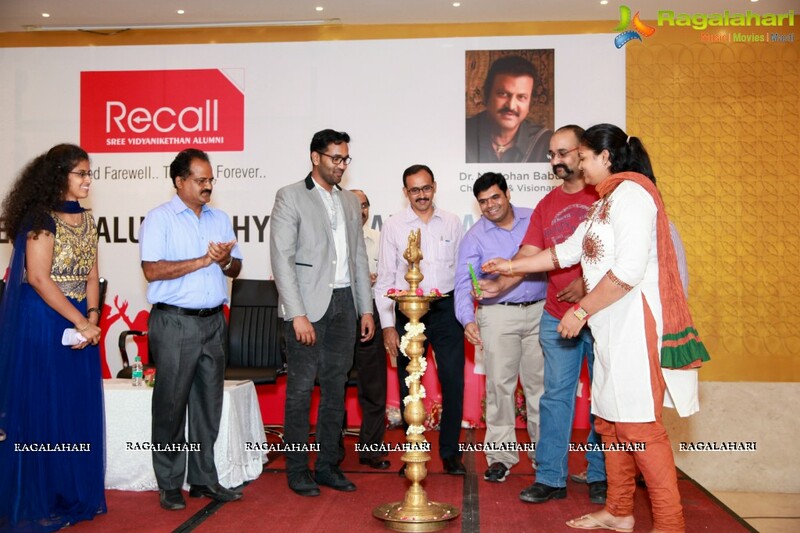 The inaugural meet of Recall Hyderabad Chapter was a grand success. Around 220 alumni members gathered to share their experiences with friends, the college and the management. The event concluded with recreation events followed by the sumptuous lunch. The association is looking forward for many such chapters to be launched soon.